After taming the animal, you need to build a shelter for your quadrupeds. 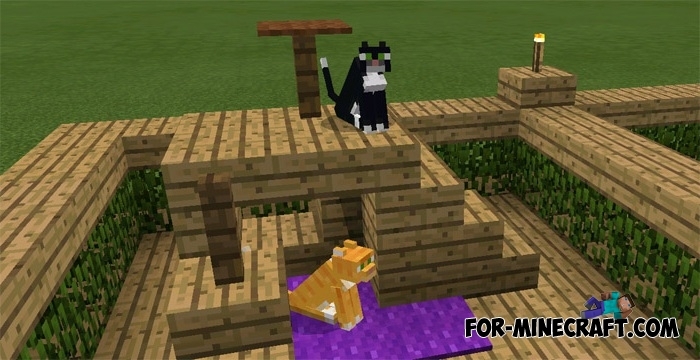 In order not to invent something new, you can use ready-made small structures that are great places for your pets. 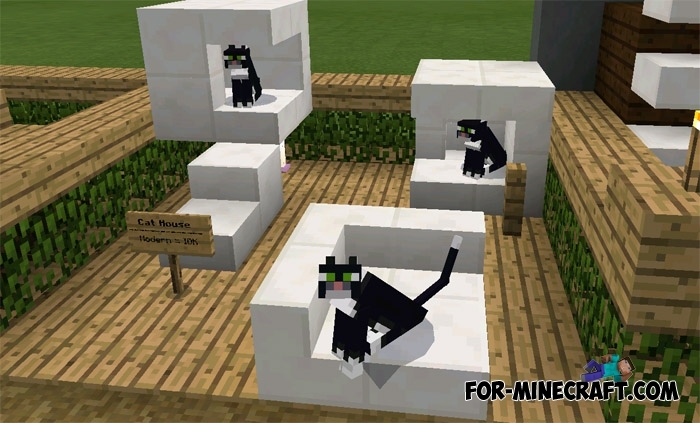 There are exactly 30 designs for all types of animals that can be tamed or used as livestock. Kennels, pyramids for cats, corral for cows and pigs and much more is built on this map. Each design has a signs with a description, you can easily remember the structure and repeat it on other maps in Minecraft Pocket Edition. Furniture Ideas map for Minecraft PE 0.13.0Over 50 decorations on one map! Prior to moment of creation this map, no one could build on the same map so many ideas for decorating your home.